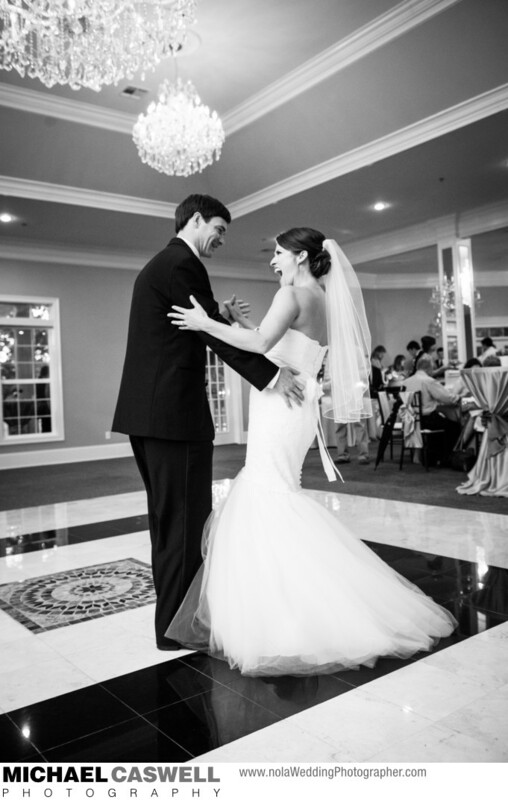 At Oak Crest Mansion Inn, this happy bride and groom laugh as they enjoy their first dance as husband and wife in the spacious ballroom located at the rear of the main house. Though the venue has a classic appearance in general, the ballroom has a bit of a more modern look, but is still very elegant. Wedding ceremonies at Oak Crest Mansion Inn can take place outdoors, or inside, and there are accommodations for the couple to both get ready on-site. Plenty of great spots are available for portraits as well. Location: 5267 Menge Ave, Pass Christian, MS 39571.